BHK is an energetic, progressive, partner led law firm dedicated to giving an exceptional legal service to our clients. The partners are highly regarded and have excellent reputations in the market. They strive to provide an efficient and friendly service and to become your trusted legal services partner. The new BHK Solicitors website was built to be ‘responsive’ in design so as it is perfectly functional on Desktop, Tablet (iPad, etc) and Smart Phone (iPhone, Android, etc). 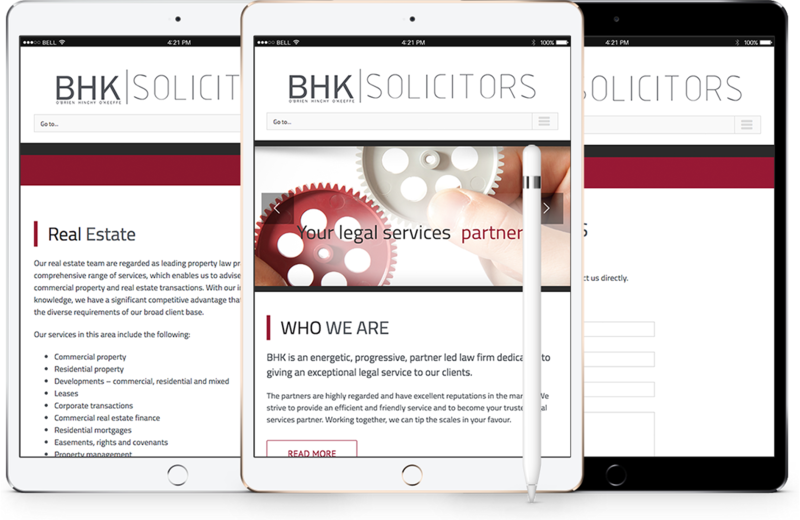 The content provides information on all of the services offered and features a fully functional content management system to allow BHK Solicitors to update and manage their website in-house.